James Cook University (JCU) is a leader in research addressing the critical challenges facing the tropics, world-wide. A defining feature of JCU is its tropical location and its research excellence in disciplines of particular relevance to the tropics. As a comprehensive university in the tropics, JCU is well placed to foster cross-disciplinary collaborations to meet these challenges. We’re committed to research of excellence and high impact, particularly on issues of critical importance to the world’s tropics. As a regionally-based university, we recognise our obligation to engage with industry and government, commercialise our research findings and achieve critical mass through productive research partnerships with other research organisations. JCU is a site and catalyst for innovation and understanding. We build on current areas of world-class excellence to achieve a strong performance in scholarship and teaching inspired by a research-enriched environment. We recognise that the University is judged not only on its quality but equally on its relevance and impact beyond academia. Tropical issues provide the focus to the University’s research mission, driven by our unique geographical location, particularly its close proximity to the World Heritage-listed Great Barrier Reef and Wet Tropics rainforests and its links with rural, remote and indigenous communities and industries. 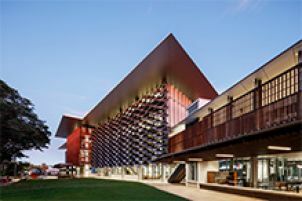 In recent years, JCU has consolidated its strengths in tropical science, knowledge and innovation by increasing its collaboration with other research organisations in the northern Queensland region, including the Australian Institute of Marine Science (through AIMS@JCU) and CSIRO, a process facilitated by major infrastructure developments which allow our researchers to be co-located with researchers from partner institutions. Together with key areas of JCU based research such as the ARC Centre of Excellence for Coral Reef Studies and The Cairns Institute, these developments have significantly expanded the University’s research base and its network of collaborations both in Australia and globally. 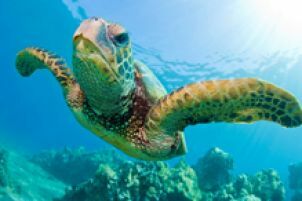 JCU is Australia’s leading research university with a focus on the tropics. It is internationally renowned in the fields of ecology and environment, plant and animal science, geosciences, coral reef science, tropical health and medicine, and tourism. Australia is unique amongst developed countries in having a significant landmass in the tropics. Tropical Australia accounts for 46% of the nation’s landmass and despite its low and dispersed population base, is the source of more than 30% of the nation’s exports, particularly from mining, oil and gas. Six per cent of Australians live in the tropics, including close to one-third of Indigenous Australians. In an era of climate change, tropical issues are of growing global significance. Approximately one-half of the world’s population lives in the tropics. With population growth double the world average, the tropics are under severe and growing pressure. A high proportion of the world’s biodiversity is located in the tropics, including up to 80% of animal and plant species and 92% of world’s coral reefs. Population growth and urbanisation have led to biodiversity loss on a massive scale in many tropical countries. High population density and growth are similarly linked to poor health outcomes and to the emergence of new infectious diseases. Seventy-five percent of new infectious diseases are zoonoses, diseases of animals that are transmitted to humans (e.g. SARS and avian influenza). It is a process exacerbated by humans living in close physical proximity to domesticated animals and by global warming which changes the distribution of disease insect vectors (e.g. mosquitoes). JCU’s research mission is to find solutions to the challenges facing the world’s tropics through research. Of particular strategic importance is the research undertaken on issues of importance to industry, government and the broader community in northern Queensland and more broadly in tropical Australia. The role of JCU research is central to the region’s future, and its importance is acknowledged by both State and Federal Government and by businesses and organisations across Queensland.